The best method of removing a page, email, or blog post is to archive it. This ensures that you will not lose any of your data or content when the page is removed. You can also archive files in your file manager. In your HubSpot Marketing account, navigate to your email, blog, or page dashboard. 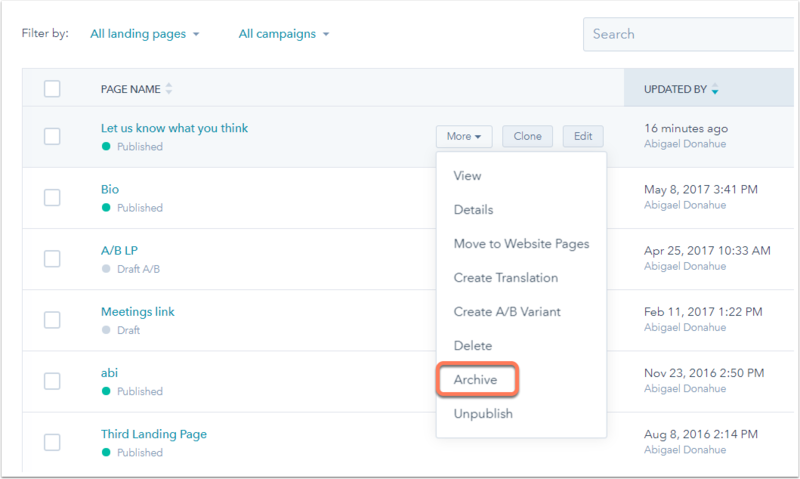 Hover over the page within the pages list, then click More then select Archive. In the dialogue box, click Archive to confirm. Any archived content will now appear in the Archived section in the left sidebar of your dashboard.